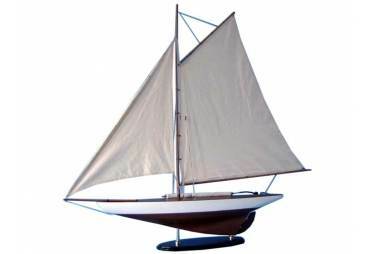 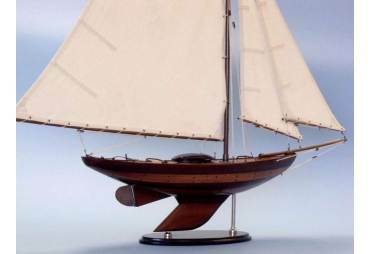 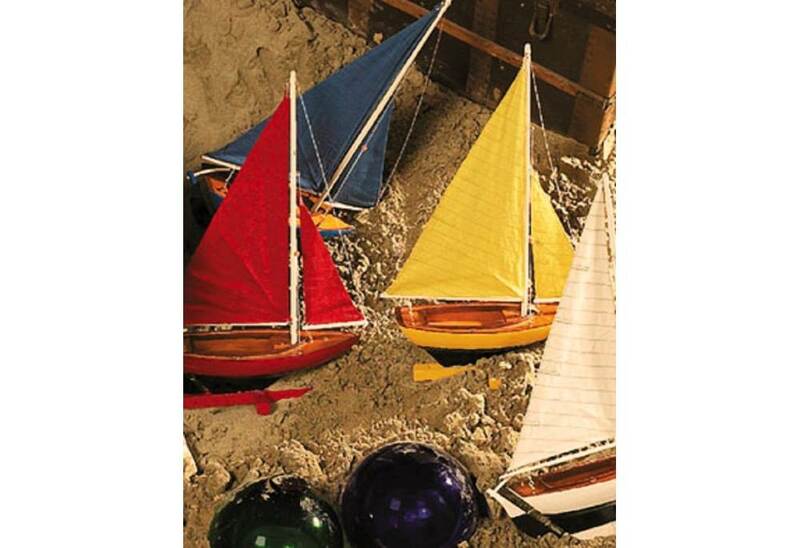 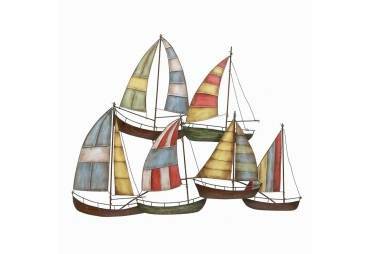 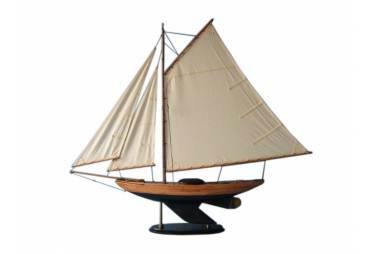 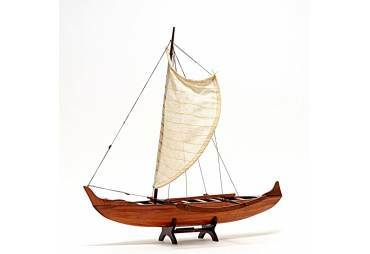 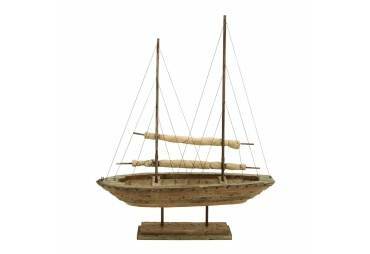 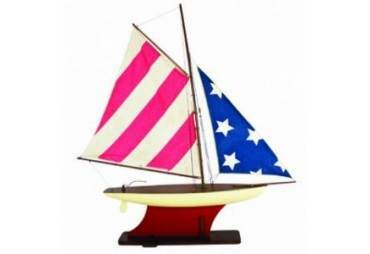 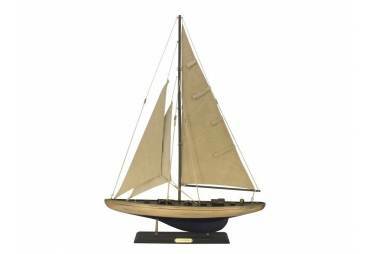 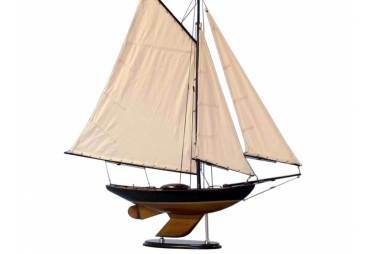 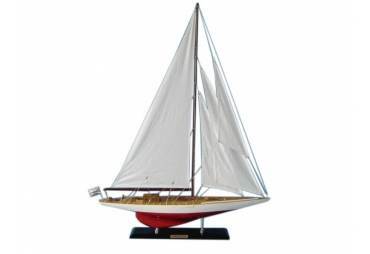 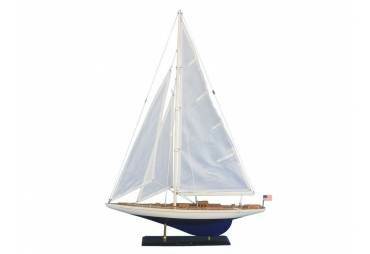 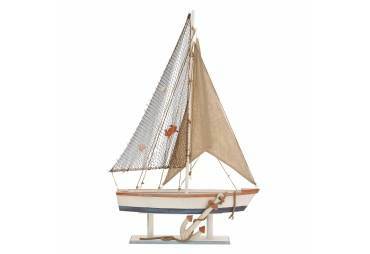 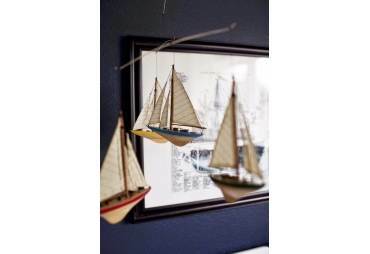 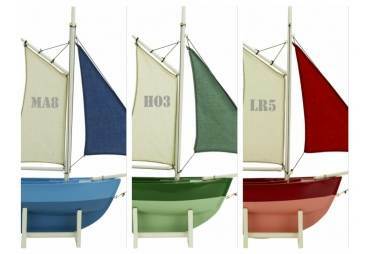 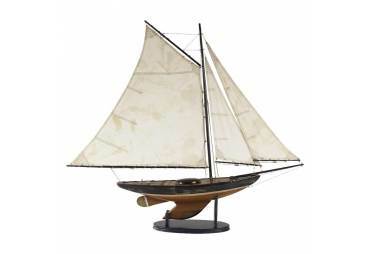 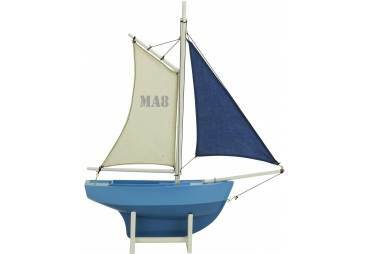 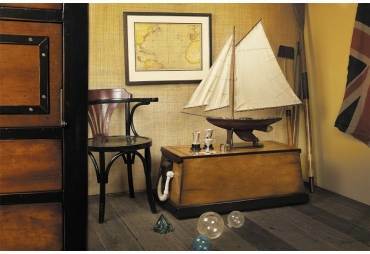 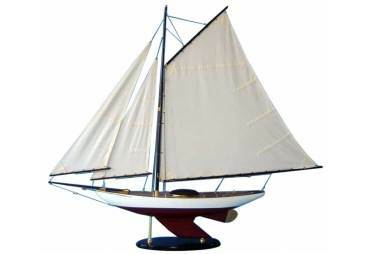 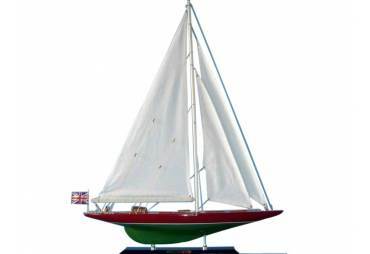 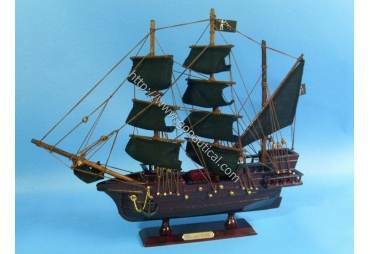 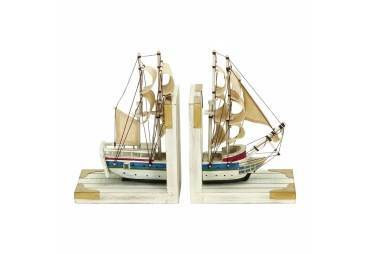 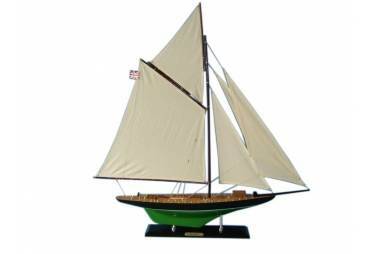 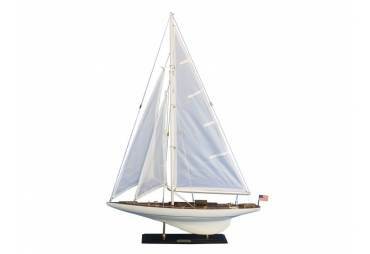 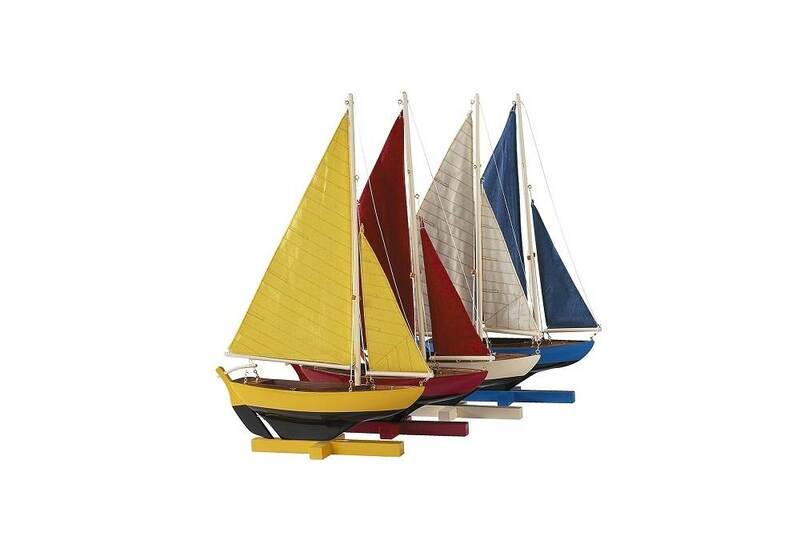 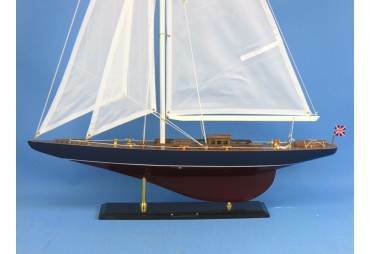 Miniature sailing boat models are built of hardwood and have cotton sails. 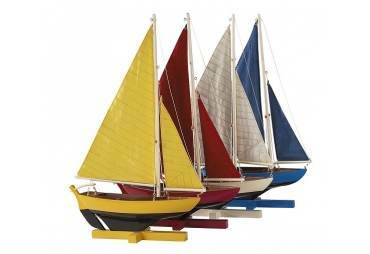 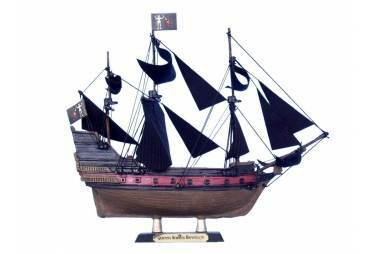 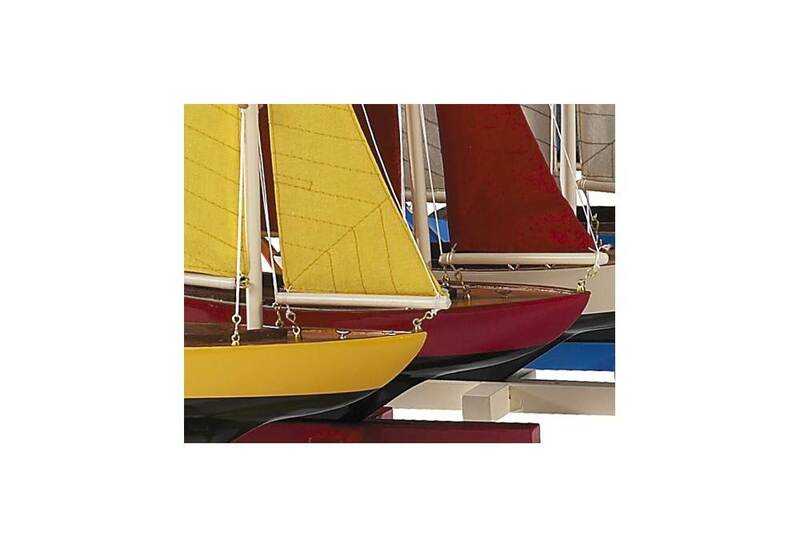 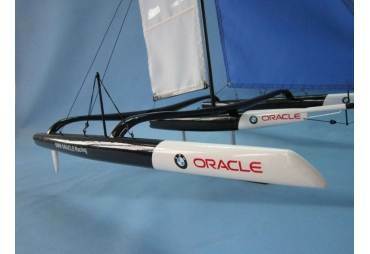 Each individual model has been painted in it's own high gloss vibrant color with matching sails. 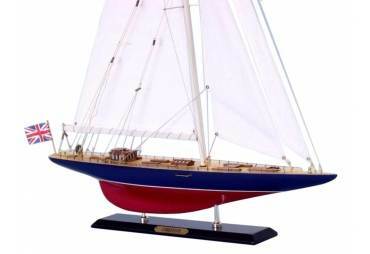 Some other details like deck mounted cleats and stitching on the sails with batten pockets. 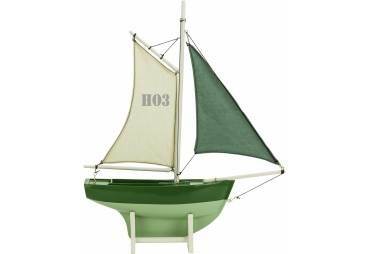 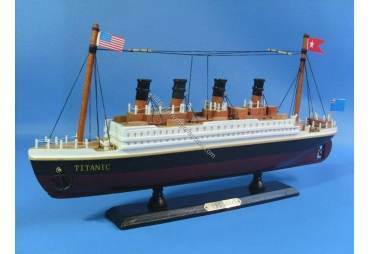 Each boat model comes with stand.